Click here to select your child’s First Communion date in May 2019. 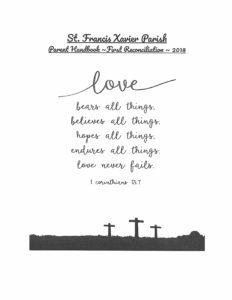 Youth receiving the sacraments of Reconciliation and Eucharist for the first time are prepared through the PSR classes on Monday afternoons or Thursday evenings or with their classes at St. Francis Xavier School if they attend the day school. Both scenarios offer a family-centered program that includes attending one meeting of orientation and formation for each sacrament, workbooks that are completed together at home, and retreat days on parish grounds for the children. Typically youth receive these sacraments during the second grade, but we are happy to accommodate children of any age. Youth are required to complete the Grade 1 program in the Parish School of Religion prior to receiving the sacraments. 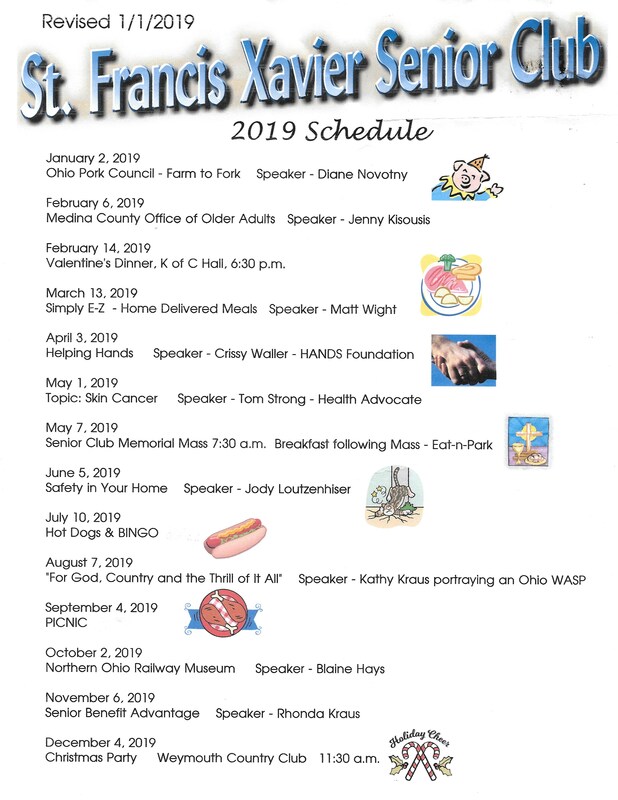 Friday, Nov. 30, 2018, at 7 p.m.
Saturday, Dec. 1, 2018, at 11 a.m.
Tuesday, Jan. 8, 2019 — 4 to 5:15 p.m.
Tuesday, Jan. 8, 2019 — 6:30 to 7:45 p.m.
Friday, Jan. 11, 2019 — 6:30 to 7:45 p.m.
May 11 @ 11 a.m. or 2 p.m.
Sign up for your preferred date and time here. Please contact Summer Kish, our director of religious education, in our Parish School of Religion office at 330-722-7700 or skish@sfxmedina.org, or PSR secretary Donna McEwen at dmcewen@sfxmedina.org for more information.